Touring in Detroit by boat is fun and interesting. Plus, a fresh-air cruise on the Detroit River will get you to places that are hard to access by bus or car. There are several tours to choose from that vary by propulsion, theme, waterway, and entertainment. Please call or consult the operator's website for current prices, hours, and itineraries. ﻿Captain Bill Hoey hosts Diamond Jack's narrated, two-hour tours on the Detroit River from either Bishop Park in Wyandotte or Rivard Plaza in downtown Detroit. The company's tour boats were once part of the Arnold Line, the Mackinac Island ferry service, and they provide spectacular views of both the Windsor, Ontario and the Detroit skylines. The family-run tours are available Thursdays through Sundays. Snack on munchies for the boat’s snack bar as you cruise. If you crave a bigger boat, the Detroit Princess Riverboat is a five-decker vessel that resembles an old-time Mississippi paddle boat (sans paddle). In fact, the Princess (aka Players Riverboat Casino II) actually served as a gambling boat for several years in Illinois. It has a full restaurant, holds 1,500 passengers and hosts themed cruises on the Detroit River, including Motown Dinner Cruises and Moonlight Cruises. Celebrate the holidays with one of their special holiday cruises. The Clinton Friendship, a double-decker vessel, hosts several cruises down the Clinton River from May 1 through October 31. During the week, the Clinton Friendship hosts lunch with a buffet and cash bar. The weekday dinner cruise also includes live entertainment. Weekend dinner cruises are a charming way to spend your ​downtime. The Summer Cruise Series aboard the sleek, 138-foot Ovation Yacht comprises several themed party cruises during warm weather. 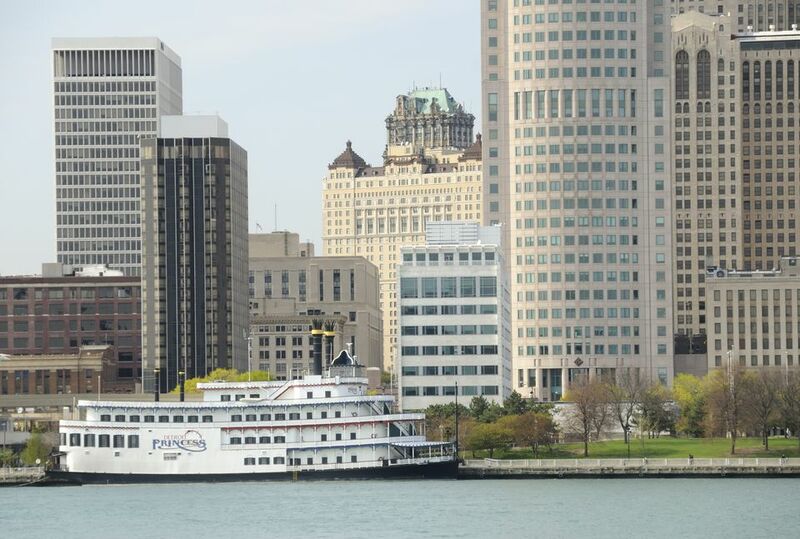 The cruises, which can accommodate up to 300 guests, depart from various locations along the Detroit River in downtown Detroit. Most of the cruises are three hours long and have an open bar, live entertainment, and a strolling, three-course dinner with beautiful views of the skyline. Guests will be treated to themed music events like jazz, golden oldies, Motown and Reggae which varies by season.